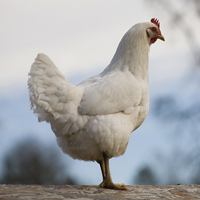 The name Cornish indicates the origin of these handsome birds in Cornwall, England and they belong to the English Class. 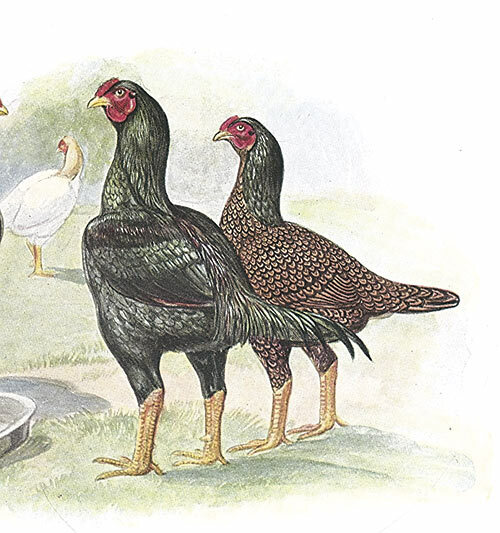 At one time they were known as "Indian Games" because of the use of both Old English Game chickens and Asells from India in developing this breed. They are unique because of their thick, compact bodies, unusually wide backs, and broad, deep breasts. These super meat qualities have made the Dark Cornish a truly gourmet item to raise for eating. 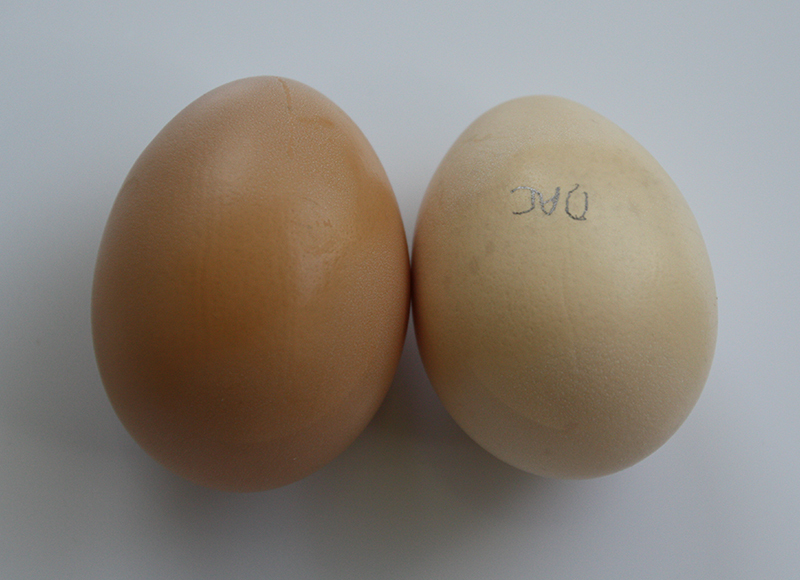 The hens are nice layers of firm-shelled brown eggs and wonderfully hardy. This variety will come as close as any to rustling for themselves under rough conditions and also make good setters and mothers. Another very distinctive character is the close fitting, rather hard textured feathers with unusual lustre and brilliance. The close feathering and compact build will fool you on weight. They are always much heavier than they look. 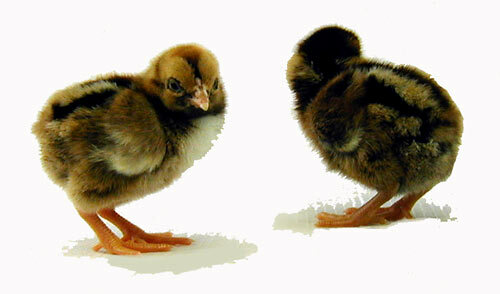 Baby chicks, all purebred and from the same strain, can vary greatly in color from a light reddish buff to a darker reddish brown with dark markings on the head and sometimes a dark stripe on the outer edge of the back. I'm if I order several females and only one or two males, will the males be marked so I can distinguish them apart? I'm interested in handling the male chicks more in hopes of reducing the aggression a bit. No, they are all mixed together in the box. 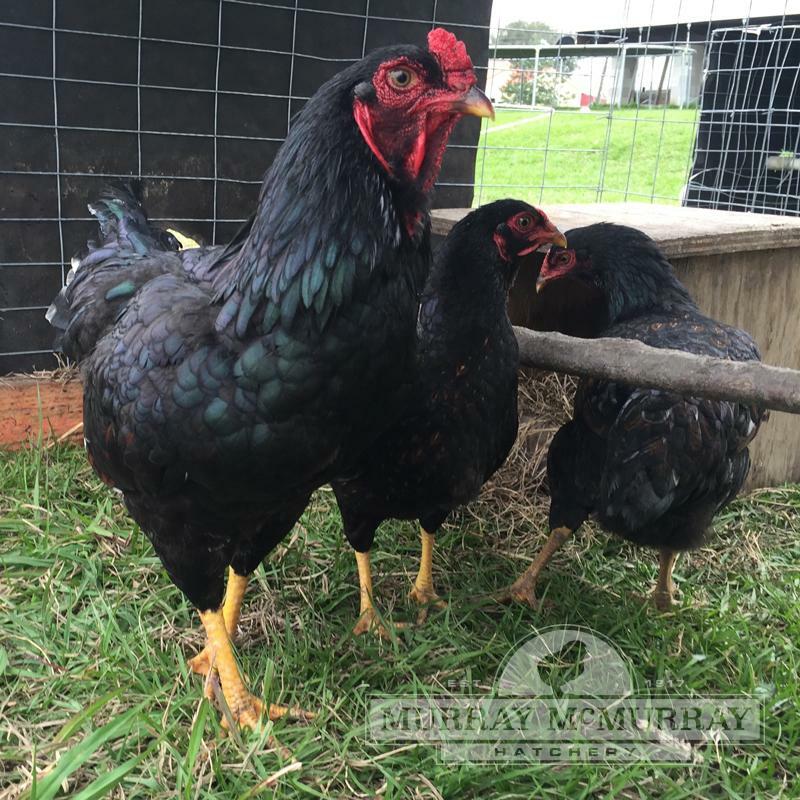 You should be able to tell them apart after a few weeks when they start feathering. How much do the Cornish weigh when full grown? On average the males weigh 10 lbs and females 8 lbs. We are no longer able to ship chicks to Puerto Rico. How much is shipping on 25 dark Cornish chicks? I live in Georgia. We would need your zip code to figure shipping for your area. No, this breed is pure bred. They have not been crossed. 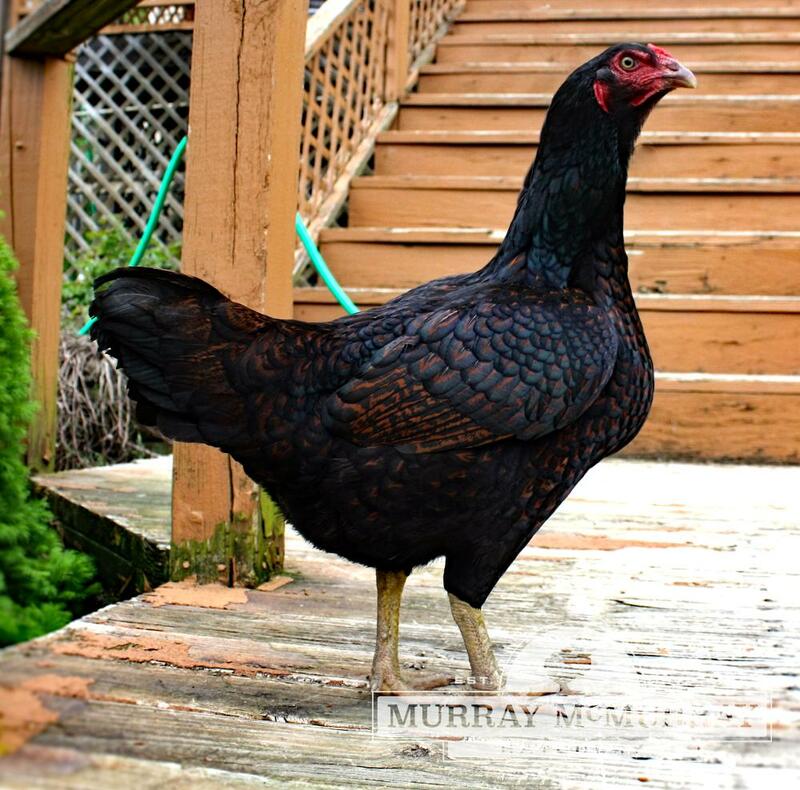 The Dark Cornish will lay brown eggs. Beautiful BirdsI ordered four pullets to get an idea of their personality to see if I would be comfortable using them as broiler birds. I was hoping they would be mean as the disposition rating suggested. I'm glad I only got four as a test because I'm far too fond of them to kill them. 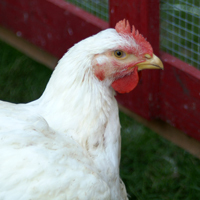 The girls are active, alert little hens and have beautiful lacing in their feathers which I wasn't expecting. I actually got one rooster and three hens but I consider him to be a happy accident. He is by far one of the moist handsome birds I've ever and he has a hilarious personality. Whenever I pick him up he moans like 'Ooooohhhh noooooo...' It cracks me up. I named him Mortimer and I totally have a little girl crush on him. I follow him around and just coo at him, it's a little silly. only 2 survivedmy first time ordering from here but have raised chickens for years. i received 4 dead chicks in the box of 28 & 2 were black cornish. overnight 2 more died. i’ve never had an experience like this w/ so many losses either in transit or within 12 hours of arrival. i love this breed but won’t be ordering from mcmurray again.